Independent Living Centers are organizations in which disabled people, who have been recipients of services, take the initiative in providing services they really need to live in the community. With their activities at Independent Living Centers, they are not recipients of services any more but they are providers of social services. They have managed to create a work place where disabled people can make use of their expertise most effectively. It became very popular for disabled people to exchange each other internationally since the International Year of Disabled People in 1981. People with disabilities in Japan have visited USA and have learned a lot from leaders there. Especially the seminars in 1983, which several IL leaders in USA came and informed of IL Movement, were worthy of special mention. 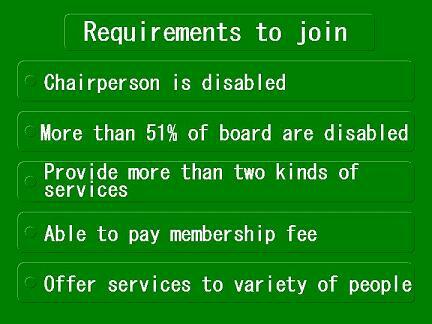 The IL movement had a big impact on disabled people in Japan. From the IL movement in U.S., they have learned that independence means the right to self-determination and that everyone has the right to live as he or she wishes. Learning from the activities of IL centers in U.S., they established Japanese style independent living centers. The first independent living center established in Hachioji City, Tokyo in 1986 and since then the number of centers is increasing rapidly. The leaders continued to discuss by putting their ideas together, and a year later in November 1991, they held the first general assembly of JIL joined by 10 ILCs throughout the country. 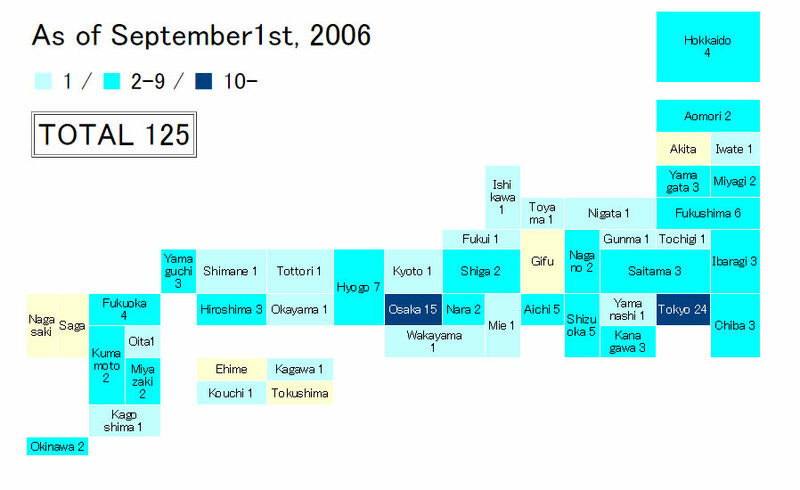 There are now 127 centers in Japan as of August 2006. Representing ILCs in applying for funds and international exchange, working as a liaison office between ILCs and other agencies. JIL accepts membership application from ILCs only, (which satisfy the eligibility stated earlier) not from an individual or other agencies. Application forms from each ILC will be examined and screened by JIL board members, and will be divided into three categories; full member, associate member, and prospective member. For those individuals and non-ILC agencies that are interested in ILC activities have an opportunity to join as supporting members for financial contribution and obtaining newsletters and seminar information.